At this point, you could probably rattle off the health benefits of kale in your sleep, and you’ve got an abundance of superfood-laden recipes saved on Pinterest. But these nutritional superstars are now stretching beyond the kitchen and into your anti-aging skincare products. 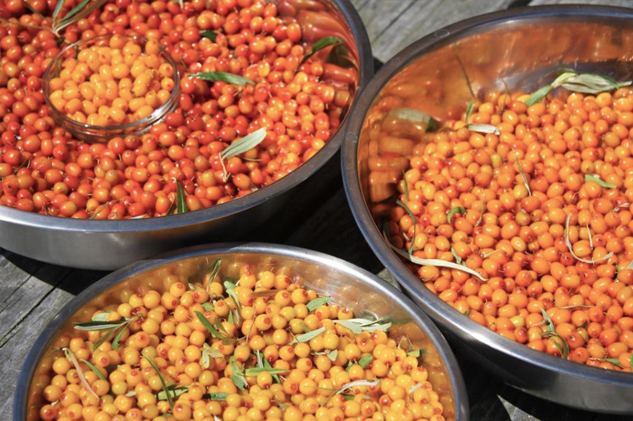 The vitamins and minerals found in superfoods like Sea Buckthorn and Green Tea are capable of beautiful things, from supporting collagen formation to hydrating dry skin and refining pores. Adding a healthy dose of these farm-to-face ingredients into your daily routine is sure to improve your complexion and promote positively radiant, healthy skin. Free radicals are molecules that are missing an electron – they are inherently unstable, and always trying to steal an electron from the other molecules around them. They can form in your skin for a variety of reasons, including exposure to toxins. However, the most common cause of free radicals in skin cells is UV radiation from sunlight. Green Tea has been shown to enhance the appearance of old, dying skin cells that are at the end of their life cycle. When used consistently, it can help increase skin elasticity and reduce the overall appearance of lines and wrinkles. Green Tea is has a powerful Anti-inflammatory effect, making it an ideal ingredient for those with sensitive, red and irritated skin. Catchecins are naturally Antibacterial, offering an alternative to sythentic antibac skin treatments, and can even help reduce the appearance of discolouration. 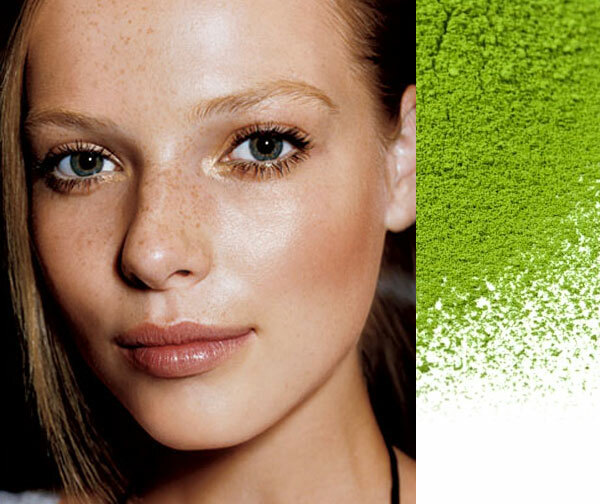 Studies have shown that Green Tea Extract can neutralize damage caused by UV exposure and protect against sunburn. The best way to protect your skin from sun damage is to cover it up, though! The medicinal and cosmetic use of honeybee products has been practiced since ancient times. The Legendary Cleopatra, Queen of Egypt, was known for her exquisite complexion. One of her secrets was adding raw honey to her milk baths, and directly to her skin as a cleanser and moisturizer. Raw honey has an abundance of health properties. It is composed of natural Alpha-hydroxy Acids, such as Gluconic acid, that gently exfoliate dead cells. These acids also increase elasticity, balance out oily skin, stimulate collagen production, and minimize fine lines and wrinkles. Raw honey is made up of both anti-aging vitamins and minerals that help nourish and heal the skin, brighten the complexion, even out skin tone, and lighten scars and age spots. Since raw honey also contains phytochemicals that kill viruses, bacteria, and fungus, it has natural anti-inflammatory properties. It does wonders for a wide variety of skin ailments, including Acne and enlarged pores, Rosacea, Eczema and Hyperpigmentation. 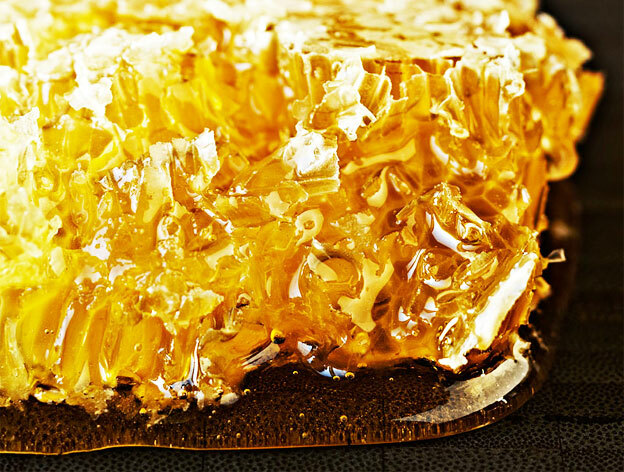 Perhaps most impressive of all, raw honey promotes the growth of healthy, new tissue. Before pasteurization, raw honey contains bee pollen (propolis) and other components that stimulate the growth of cells. Depending on where the raw honey is collected from, it will contain many nutrients and minerals excellent for skin health such as Vitamin B, Iron, Manganese, Copper, Potassium and Calcium. It also acts as a humectant, drawing moisture to the skin, and is perfect as a gentle cleanser for even very sensitive skin. When raw honey is mixed with water, it produces hydrogen peroxide. This is due to one of the natural enzymes it contains. Hydrogen peroxide is a mild antiseptic that can be used to help Acne and impede bacterial growth. Honey is excellent for use in an anti-aging acne skincare routine.Raw honey is the most original sweet liquid that honeybees produce from the concentrated nectar of flowers. Collected straight from the extractor, it is totally unheated, unpasteurized and unprocessed. This preserves the beneficial enzymes and nutrients of the honey.